The veteran is facing charges, "Hernandez has been charged by the Office of the Hudson County Prosecutor with two counts of Attempted Murder of Police Officers; Unlawful Possession of a Firearm; Possession of a Firearm for an Unlawful Purpose; Eluding Police Officers; Resisting Arrest; and aggravated assault on a law enforcement officer." But why isn't anyone else being held accountable considering how many times veterans reach this point after risking their lives for others? Roque, a doctor, has worked with veterans in the past, mostly assisting in pain management. And he said he’s seen the troubles these veterans come home with, and the need for counseling that many never get. After standing behind an armored vehicle on 57th Street for nearly 12 hours last Saturday, Feb. 5, West New York Mayor Felix Roque had a lot of time to think about the harrowing event that took place in Hudson County that day, and what it means for how veterans are treated when they come home from war. 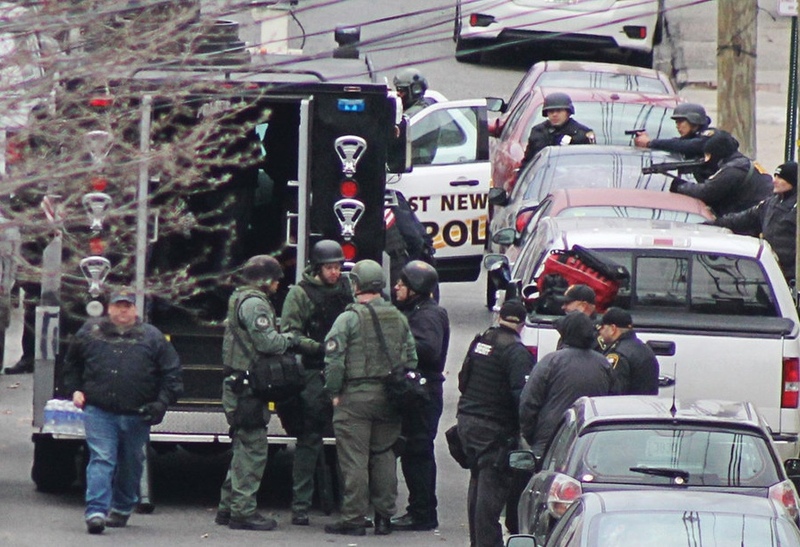 Earlier that day, a call came in to the police in North Bergen, a town that shares a border with West New York. Emmanuel Hernandez, 27, of West New York, had reportedly been seen inside a red Infiniti with a firearm on Kennedy Boulevard at about 2 a.m.
North Bergen police caught up with Hernandez – an Army veteran who served honorably in Iraq – at about 2:20 a.m. at the QuickChek on Kennedy Boulevard. When they approached him, he reportedly became defensive and, as he fled in his car, he allegedly ran over a cop’s foot and struck the police vehicle. The officers chased Hernandez for several blocks into West New York, where he exited his vehicle in front of his residence at 608 57th St.
Mayor Roque said Hernandez, inside the house, saw these reports and became even more frightened. “He kept saying he didn’t commit a crime,” said Mayor Roque, who was among several mediators talking to Hernandez via cellular phone during the standoff. Hernandez was also apparently in contact with his mother in Florida via another phone.